Much like fashion, beauty trends come and go. Colorful eyeshadow gains popularity, but a few years later it is considered tacky and off-putting. My style is very simple and classic, but I love to experiment with makeup so I'm always testing out new beauty trends! Some I'm still obsessed with, others not so much. The great thing about makeup is that even if a trend doesn't suit one person's style, face shape, skin tone, etc., others can rock it! So obviously, if you hate a trend that I love or love a trend that I can't stand, you keep doing you! There is something so flattering about winged liner--big or small, black or colorful, thick or thin, this is something that is appropriate for almost any occaision! Plus, we all know how long it takes to master it. I still only attempt a wing if I have a lot of time to correct it. So whenever I see a perfect wing I'm always impressed. It amazes me that in the 90's and early 2000's, pencil-thin eyebrows were all the rage! Especially for a face like mine, thicker brows really help frame my face and although they're tough to maintain, they're one of my favorite features. It helps that more prominent brows are on trend at the moment, otherwise I would be tempted to try and tame them. To be honest, I mostly like this beauty trend because I'm too lazy to thin out my brows! I have dry skin so I'm always trying to achieve a glowing complexion! The strobing and highlighting trends, therefore, are right up my street. Whether they are natural or beaming, traditional or colorful, I love the obsession with highlighters. That being said, there is one place that I think looks very strange when highlighted--I'll discuss that later! I've attempted to do this eyeshadow look several times and it never turns out right, so I have a lot of respect for the artists and gurus who can get it to work! I think it's absolutely beautiful and I love the color combinations that people come up with. Glitter cut creases are even better. This isn't exactly a beauty trend, but it's a makeup storage trend so I figured I would talk about it anyway. The Ikea Alex drawers have been shown to death as a favorite of many beauty gurus for storing makeup. I don't have these myself, but I do think they look beautiful and practical! I may not get these exact ones but if I had the funds and the space, I would. While I do love to watch YouTubers for makeup reviews and tutorials, I feel like brands have targeted certain YouTubers for their large audiences and now collaborate them in the hope that it will translate to more sales. To be fair, I have a few products that I love that resulted from YouTube collaborations (Champagne Pop, Kathleen Light's Colourpop lippie stix) but now there are YouTuber moisturizers, eyeshadow palettes, liquid lipsticks and it all feels a bit much for me. It seems like more of a celebrity endorsement than an authentic creation. I mean, how much input can a YouTuber really contribute to a moisturizer collaboration?? This trend is definitely about preference, and it just doesn't suit me! I have a long, narrow nose and contouring it only emphasizes how narrow it is. Therefore when people complain about having a wider nose, or talk about products that help them contour their nose, I just tune out. I've also noticed a lot of beauty gurus have started highlighting the tip of their nose, and I don't really understand why. The purpose of highlighting is to give an area of the face more attention and bring it into focus, and who wants more attention on the tip of their nose? Again, I have a longer nose so this may just be a matter of preference, but I don't find that trend flattering at all. 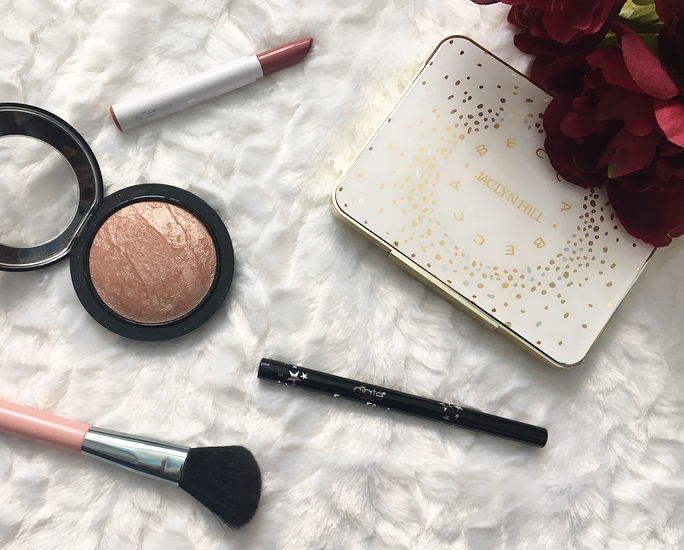 Have you ever noticed that there are some brands (AHEM Too Faced & Becca) that bring out limited edition items that just...never go away? They stress the fact that a product is only available for a short time, and stocks are limited, but they bring it back over and over again. This is great for people who weren't able to get their hands on an item during the first launch, but it's annoying when you spend a lot of time and money getting a limited edition item just for it to become permanent a few months later. A good example of this is the Prosecco Pop highlighter, which was originally only available in the Jaclyn Hill x Becca face palette. Then it was released in the split blush/highlighter pans. Now it will be available as an individual highlight. Imagine if you bought the face palette when you'd get a lot more use out of a split pan or an individual highlighter! I know a lot of people are getting annoyed with this industry trick and I'm one of them because it feels very deceptive. This is another one that is up to individual preference, but I personally don't like peach shades so I couldn't be less interested in peach themed palettes, lipsticks, liquid lipsticks, blushes, highlighters, etc. They can look beautiful on certain skin tones but I think it just washes me out! This seems to be the newest color trend but I'm not on board with it. I'd love to know what trends you follow! 13 comments on "Favorite and Least Favorite Beauty Trends"
I'm definitely with you on the Peach Colours.. I'm not the biggest fan of them. They just don't look good on me compared to how they look on others. Great post! This is such a great idea for a post! I agree about the nose highlighting and contouring, it's way too much. Also on the multiple Youtuber collabs, it's just way too much and overdone which is the main reason why Too Faced turns me off. Mac is another one that is guilty of too many collections, too much too soon and I couldn't be arse about the brand anymore. Agreed! 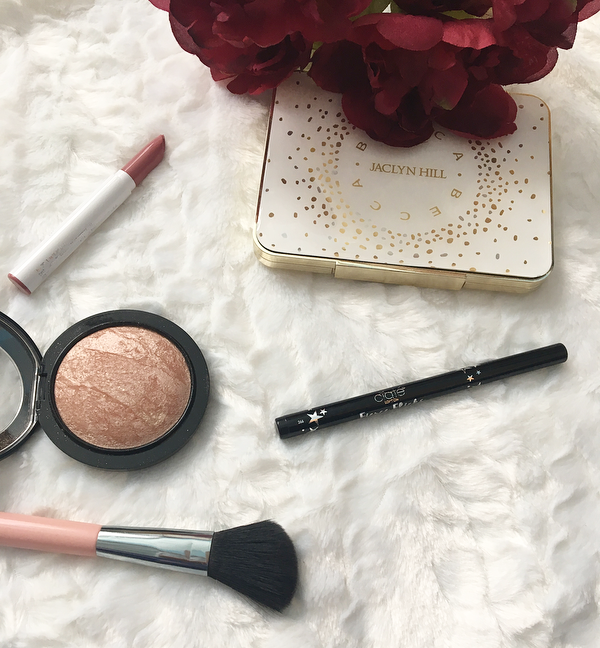 I never want to buy MAC collections because they're gone so fast and then I feel bad talking about them on my blog. I agree with you about collabs - they just seem to be making money off us, which is their main goal, I guess. But how honest can a Youtuber truly be when reviewing a product they endorse? Lol. I totally agree with you on the nose highlight ! it is just too much and not pretty at all. As for the limited edition items, it is so annoying . Stressing people to go and buy the product quickly is not so fun. I agree with the nose contouring and highlight. Also youtubers collabing is annoying to me too.. I don't necessary go with the trends, I like the same things I like before they were "cool". Yeah I'm not so into peach either. I mean I like it and have one peach blush but I'm not like OMG PEACH. Also I'm very picky with the youtube collabs... a lot of them seem too hyped for nothing, but that being said there are some that are tastefully done. What a great post! I agree with most of these except for the nose contouring and the peach colors. I have a lovely Roman nose so sometimes it's nice to define it a bit, I don't look good in peach lip shades but I love it for blush and eyeshadows. Yes to making lipgloss great again! Couldn't agree more. There was a time I loved using matte liquid lipsticks and it does look good but it just dried out my lips so much! I definitely love dewy skin and highlighters. I agree matte liquid lipsticks can be so uncomfortable and i don't bother with products that are limited edition as i don't want to fall in love with the product and then have it be discontinued.